It’s becoming that time of winter. You’ve been wearing all your favorite cold weather clothes for months. But if you’re like me, there are a few things that haven’t made it out of the drawer since you put them there in October. Well, today’s the day to make room for something new and simultaneously give your winter wardrobe the little pick-me-up it needs to endure a few more chilly months. 1. Cut the arms off your sweater. I cut mine at an angle originally, but eventually decided to level them out straight across. I wanted tall leg warmers so I used most of the sleeve. If you don’t want the extra bulk and are in the market for more of a boot topper, you can cut a shorter section of the sleeve. 2. 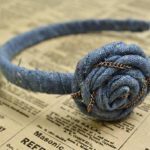 Using a sewing machine or needle and thread, sew a straight line around the bottom, ragged end of the sleeve. The point of this is simply to keep the sweater from fraying too much. 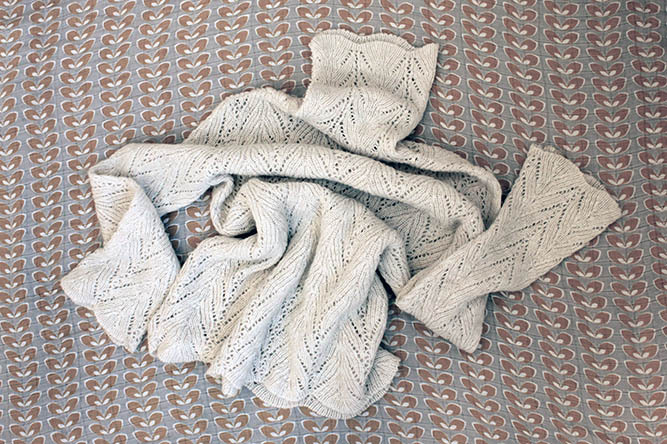 If you want the bottoms to look nice and clean, you can roll the sweater over and give it a more tidy hem. (I didn’t care since I know these leg warmers will always be tucked into boots.) 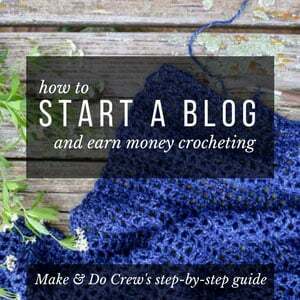 I used a zig zag stitch. 3. THAT’S IT! Seriously easy, right? Like I-have-a-tw0-month-old-baby-and-I-still-made-these easy. 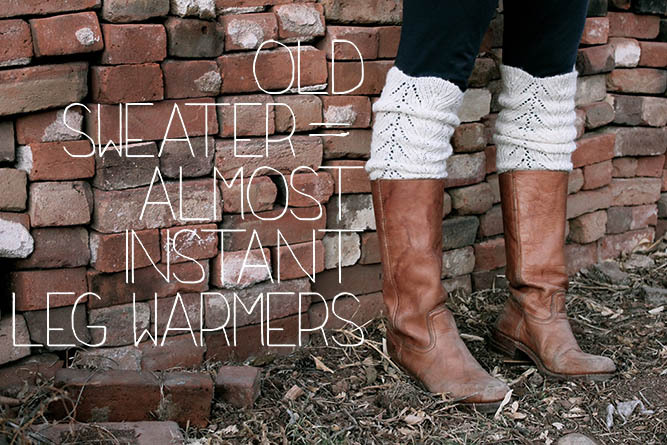 Whether you wear your leg warmers scrunched down or pulled up, your bound to get more use out of them than you did in their previous old sweater state. And what to do with the leftover wooly “tank top?” I cut rectangles out of mine and made an additional pair of shorter boot toppers. I simply used the waist of the sweater as the top of the boot topper, sewed the rectangle into a little tube and “hemmed” them as described above. This allowed me to get two pairs of fancy leg flair out of one sweater. (Hello, perfect speedy DIY, Anthropologie-looking-but-not-costing gift.) A few more months of winter aren’t looking so bad now, are they? I have so many sweaters I don’t use anymore. I think I’m going to make time this weekend and try it on one! I’ll have to have some help from my husband. He’s the one who knows how to use a sewing machine. I love that your husband knows his way around a sewing machine. You two must be an unstoppable duo! (Honestly, you could skip the sewing part altogether and just tuck the ragged edge into your boot. 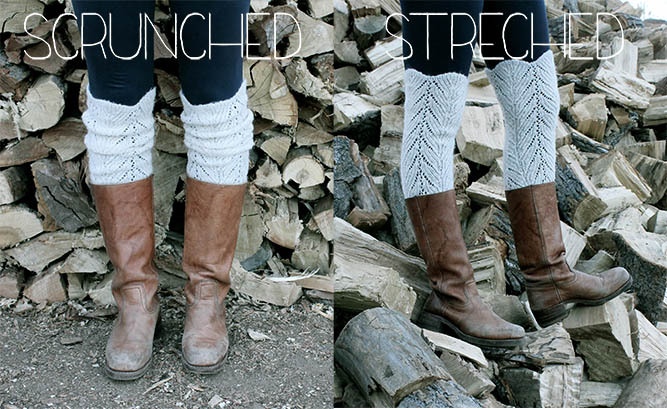 Although that might not make for the most long-lasting boot toppers…) Happy ankle warming! 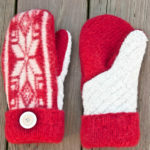 how do I download the templates for the mittens?